Easter! The best excuse to stuff your face full of candy without anyone judging you! DIY’s the best excuse for trying something new! (And in my case also completely failing) So, speaking of candy, DIY’s and Easter of course, I’ve put together a little do it yourself list of absolutely AMAZING Harry Potter sweets. Once again have I stumbled and fallen down the deep rabbit hole called Pinterest. And landed in loads of baking and mostly Harry Potter related recipes, since every holiday needs a bit of magic and loads of sweets I have fished out some special ones! First we have Harry Potter treacle tart! Fairly simple to make but absolutely delicious! It takes about and hour to make and there’s no weird ingredient in them that you won’t find in any of your stores, we’ve all been there. Not only do the original criss cross pattern one look super amazing but you can make it any way you want! You like the night sky? 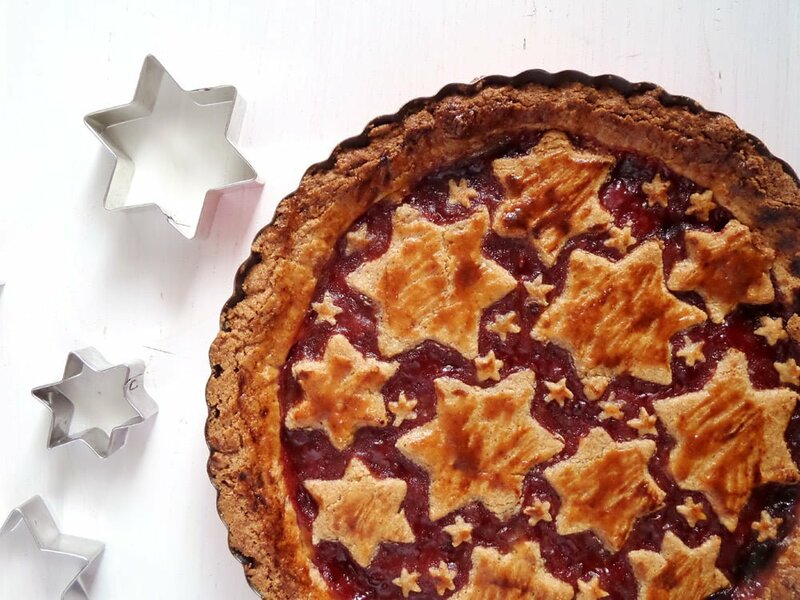 Put it in a pie! 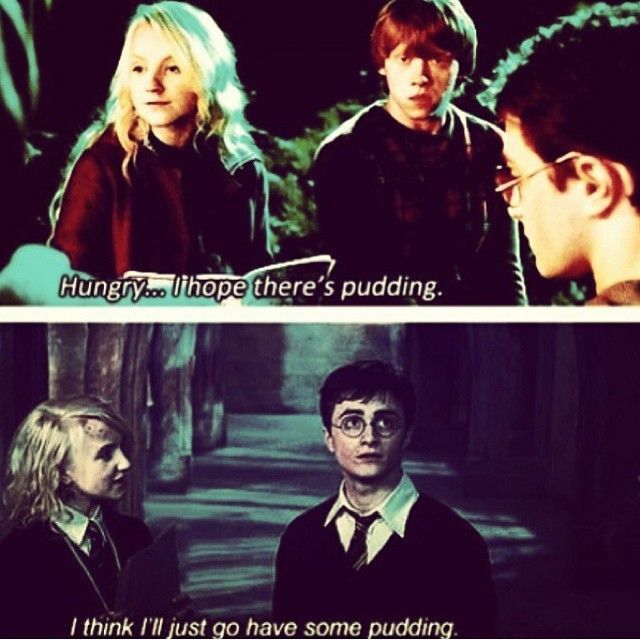 As we’ve all heard and seen in the Harry Potter movies, Luna Lovegood really likes her pudding! 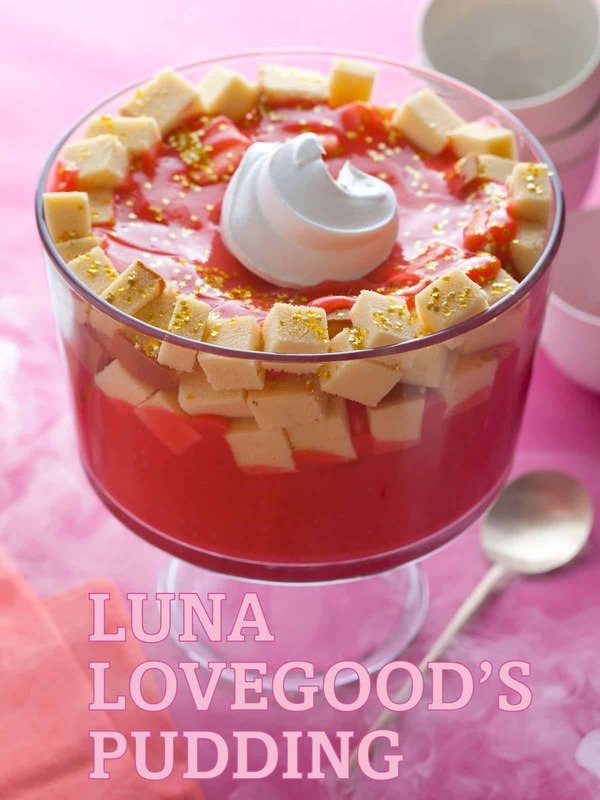 And since Luna is a very special character that deserves all the pudding in the world, of course someone made a special one just for her! It has everything that Luna would love! It has color, glitter, whipped cream and it’s super sweet! And of course you’ll get thirsty by these sweets! You’ll need something to swallow down that pudding with so what will it be? How about a classic? Butterbeer is a drink that’s mentioned a lot in the Harry Potter series and now you can make your very own! It’s so simple and it tastes so good! Violet Jackson Awesome, will definitely attempt (notice that I say 'attempt' ;D) these recipes. Lexie Clearwater well done Ellie. I'm making butterbeer for sure!